As consumers, we all love rewards and what better way than to do it online, right? If you are someone who uses the internet regularly for work or personal activities, then this article will show you how to earn money from Swagbucks by doing the things that you like. It’s basically a reward program site that allows people to earn points, called SB (short for Swagbucks), for shopping online, watching videos, searching the web, answering surveys and etc. Accumulated points can then be converted into gift cards or turn into cash via PayPal. When setting up an account, the first few things that you want to do is to add a SwagButton on your Chrome browser. This will notify if the website you are visiting is a participant of the reward program or not. It also acts like a shortcut for you to enter and redeem coupon codes from the web. The other thing is to link a credit card that you frequently use for local dining and online shopping as this would make the cash back process a lot easier. After that, you can dive into these activities to start earning your points. Shopping is basically divided into popular stores and local deals and they usually offer between 1% to 3% cash back. Depending on where you are located and what you want to buy online, there are hundreds of participating stores to choose from such as Amazon, Etsy, The Home Depot as well as local ones. How it works is that you just click on the outlet and choose the kind of categories, deals, or sales that suits you and a temporary pop-up window will appear to redirect you to the main merchant website. 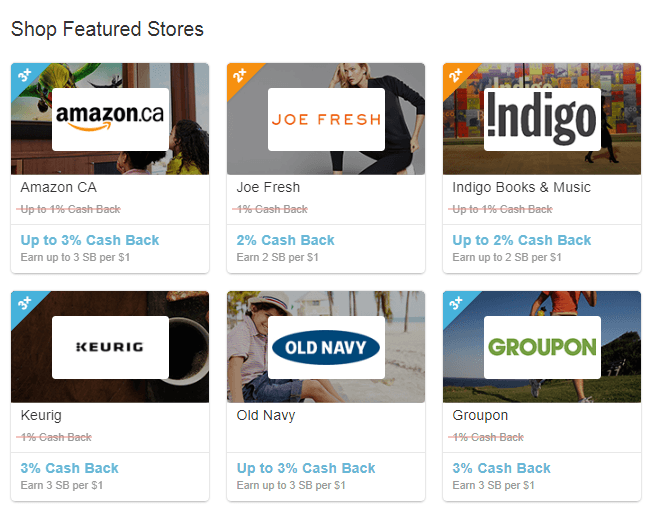 When an item is successfully purchased, the cashback will be added back into your account and you’ll also earn whatever SB points that apply..
And then there’s the grocery coupons where you can search for offers according to your area, product category or brand. You’ll earn points when the coupons are printed. If you like watching short videos, here’s an alternative to try besides going to YouTube. Inside Swagbucks, there’s quite a fair bit of short clips ranging from celebrity news to food channels. After watching and rating the content, you’ll be able to earn some points. Having said that, the videos aren’t the most exciting content, but it does help to kill time, especially when you have nothing to do on the phone. This task is pretty straightforward and there are a few sections to it. First, there’s the daily poll where you can only earn points on that particular day. Then there’s the third party and Gold surveys that reward more between 40 to 100 SB points so those are probably the ones worth answering. Most online research begins with the search engines so it’s pretty smart to reward people for something that they do frequently. Upon activation, you’ll earn 20 SB, but it actually takes multiple search to earn winning SB points, sometimes as much as 100 SB points. To make things easier, you can add the Swagbucks Search extension to keep track of your points and also to notify if you are browsing a partnering website. However, keep in mind that this will change most of the current home page and search settings that are on your browser. This isn’t exactly my favorite type of task, but some people may like it. Some of the games are free to play and for some, you need to buy tokens or entry fees. Either way, it will tell you how many points are allocated for each game so you can decide on how much to spend. And even if you lose the game, it will not affect the point accumulation. This is probably my most favorite way of earning from Swagbucks because the points are one of the highest that you would get. Whenever someone registers through your referral link and earn 300 SB, you will also get the same amount into your account. When they shop and earn 25 SB, you’d get an additional 200 SB and 10% of their earnings for life. As you would imagine, there are still many people who don’t know about Swagbucks and its benefits. Therefore, one of the best ways to reach out is to create a blog and help them with tips on how to make money online or how to plan their shopping budget. You can use keywords in the content to drive natural traffic from Google as well as Swagbucks banners to attract this group of audience to your site. In order to make things more comprehensive, you can also share tips and earn rewards from other referral programs that are relevant to your readers. As you may have guessed, there are a few good reasons to join Swagbucks. 1 – For people who do a lot of grocery, travel or personal shopping online, this is a fairly easy reward platform to use. 2 – Even if you don’t shop, you can do activities that don’t cost you anything like watching videos, answering questions and using their search engines. 3 – It’s good to have the option of cash redemption through a PayPal deposit because it allows more shopping flexibility for the consumers. 4 – If you run a blog about personal finance, Swagbucks is a good source of referral program because the platform is quite reputable and they have been around for the past 10 years. However, like most reward programs, there are certain setbacks to be expected. 1 – Firstly, due to country limitation, not everyone can benefit from using Swagbucks. So that’s a bit of a bummer. 2 – Apart from shopping, most of the activities involve minute tasks that require a substantial time to complete and earn very little points in return. And the point distribution isn’t always even in nature as well. 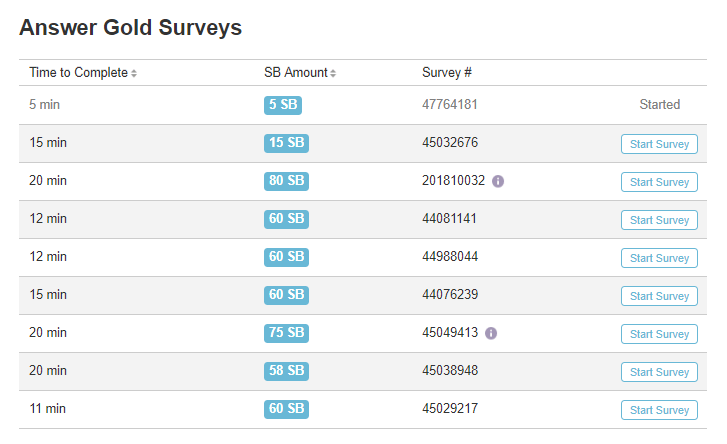 Some pay 1 SB point for watching 12 clips of videos while others pay 50 SB for a single survey session. 3 – And you may need to work a lot just to earn 100 SB which is the equivalent of $1. In order to redeem a gift card, you will need a minimum of 300 SB and 2,500 SB for PayPal deposit. So, it’s certainly not something that can make you rich instantly rather, it’s a supplementary program that helps with your daily tasks online. Can You Earn From Swagbucks Full Time? Yes, you can but I wouldn’t suggest to play games or watch videos all day. It’s simply not productive. Instead, it’s better to promote the program focusing on cash backs and coupon deals because that way, you’ll be engaging with consumers who are already regular buyers in the online space. It will involve creating a blog like what I mentioned earlier and allow you to leverage from consumer trends and turn that into a long term online business. If you’re interested in how this works, feel free to check out some basic training in my recommended online marketing platform to get started. What experience do you have with Swagbucks so far? I would like to hear from you in the comment area below. I haven’t tried Swagbucks before, but since I’m looking for money making opportunities online, it may be worth looking into. I don’t do a lot of shopping and or have any blog related to finance and saving, I think I would prefer to watch videos and answer surveys. Question – is their search engine any better than Google? Hi Dom, I don’t think any search engine can beat the feature on Google as of today. If it’s any better, it’s probably only because one can make money browsing with Swagbucks search engine. I started using Swagbucks two years ago back when I was in college. Although I did make some money, it consume a lot of my time and productivity and honestly, it wasn’t worth it, so I stopped. But now that I have a blog and looking at their referral program, I am having second thoughts. Maybe I could sign up again and see how it goes. I quite like the idea of running videos on a tab to earn money, then using a search bar to earn that little extra – how effective is that search engine anyway – is it powered by Google? How much money do you think someone could earn from this site over a month period using just these two functions? I’m not really a fan of the surveys or offers as I don’t like giving out my personal info. Hi Chris, I guess it depends on how much time you spend online using their search engine. As for video watching, I’ve tried, but wasn’t very impress by it. They are just a bunch of ads and short clips that don’t really mean anything. While Swagbucks is a great way to earn some extra pocket money by answering surveys, search online, referral program and also having fun by playing games and watching video, I bet it consumes a lot of our time which can be better used for more productive activities like blogging, freelance writing, affiliate marketing and etc. Before, I was an affiliate to the site, but when they suspended the program for a short period of time due to certain circumstances, I left. 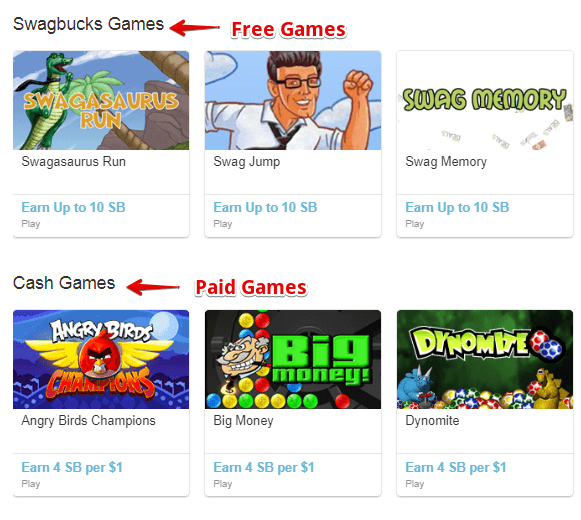 Swagbucks seems like a good way to earn money back on stuff you already buy. I’ve tried a few of these surveys for money and watch videos, but they take such a long time that I have given up on them all together. However, if I can earn money back on my Amazon purchases, I think their coupons and cashback program is still worth a shot! I was with Swagbucks over 7 years ago. Back then, it was still in the baby steps. Now, the site seems to have expanded to a lot of interesting things. Maybe it might be worth my time to get back into the game, especially since I have my own site now and can use the referral program to earn some extra income.